truth that the prosperous must decline. they are like a dream on a spring night. they are like dust before the wind. These famous and profound lines open the Tale of the Heike, one of the greatest works of Japanese literature and our primary source for the Genpei War of 1180-1185. This was a civil war between the two great warrior clans of the era, the Taira and the Minamoto (also known as the Heike and the Genji in their Chinese ideographic pronunciation), and involved the whole of the country and all stratas of Japanese society. It was an epoch defining event for Japanese history, bringing to an end the classical period of Heian culture and issuing in the age of the warrior elite. 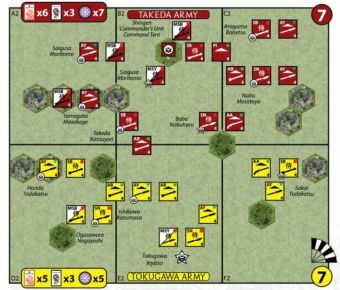 The Genpei War is also a rich source of material for wargaming. 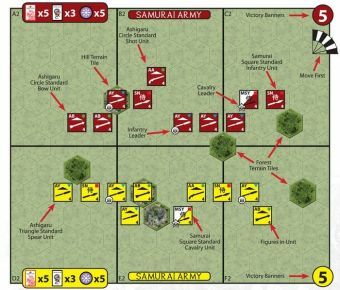 This scenario pack is the result of a project to explore this war through the Commands & Colours system for the Samurai Battles game. 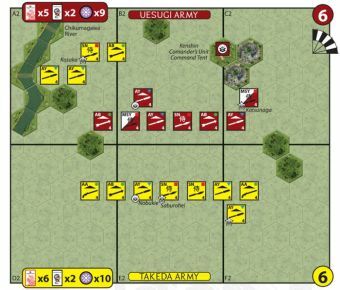 This document contains new rules, terrain and units to cater for the unique tactical requirements of the Genpei War, and thirty scenarios covering the entire conflict. This is a fan designed project and reflects my personal interpretation of the battles. 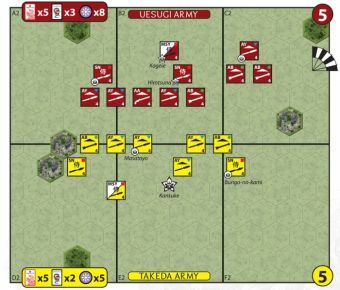 There are many scenarios with very simple orders of battle but also a number that feature denser special rule sets than are traditional for the Commands & Colours games. Some are also somewhat unbalanced, reflecting the historical reality. All the rules and scenarios have been researched and playtested and work, and either side can win in every case. However, these are not official in any way and I would encourage players to try them as they are but also to alter them as they see fit for their own taste and play style (and to let me know the results!). This robust versatility is the great strength of the Commands & Colours system. Another point to make is that unlike official game products, the scenarios are designed with purely chronological necessity in mind, not in a stepwise fashion of increasing complexity for introducing new rules. 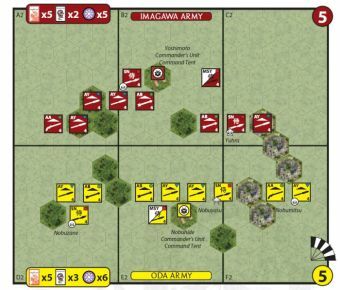 This means that some of the most challenging new rules, such as Stockades and Naval Warfare, appear first in scenarios with additional tactical and rules complexity. I would certainly recommend playing the scenarios in diachronic order to experience the narrative history of the war as a campaign but players may find an easier introduction to the new rules by playing some of the simpler later scenarios first. 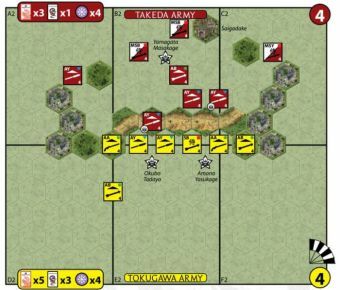 Two scenarios in particular have been designed as basic primers for the Stockade and Naval Warfare rules. These are GP19. Nuta’s Stronghold and GP20. Nishinomiya. This document is self-contained as a stand-alone expansion, but there will be additional resources available. 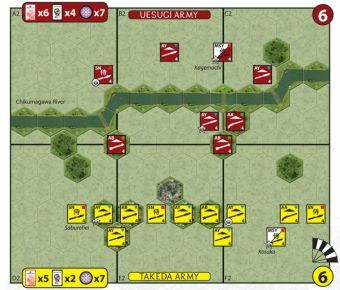 For Vassal players, there will be an extension featuring the new units and terrain and all thirty scenarios. 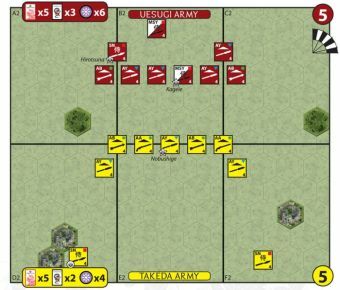 For those interested in exploring the history of the war further, there will also be a supplement with additional material collated during the research and development for the project, including a bibliography, timeline, maps, biographies of the major personalities, a gazetter of minor personalities appearing in the scenarios, and extended historical and design notes for each battle. For those wishing to print this document, it has been formatted so that the title page can be printed as a single-sided sheet and all following pages double-sided. 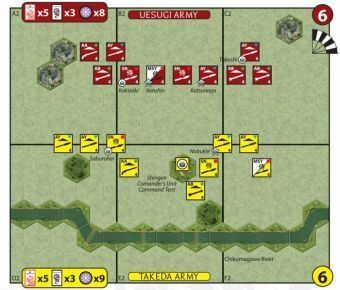 This will result in each scenario appearing as a double page spread for easy referencing when setting up battles. Good fortune on the battlefield and enjoy!